Did the proposed health care act by Republicans in the House of Representatives send you over the edge? Did your uterus contract when you realized it automatically made you ineligible for insurance just because you had one?! Were you finally thankful that the angry white men made it clear that they hate all things female? I can help you speak out! I created this post card just for the purpose of communicating with your representatives and senators. Let them know what you think about their draconian health care plans. Let them know you exist and are watching their every move. 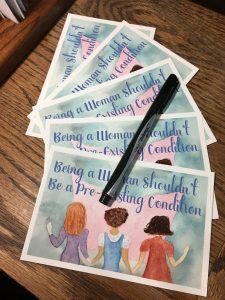 The postcards are available in print and digital versions, with 50% of all sales going equally to NARAL and Emily’s List. I’m not taking any chances–let the ladies run Washington. They can’t do any worse than the men have all these years! We can’t stay silent any longer! PS I give you Paul Ryan’s home address on my Etsy site! My candy cane wreath hanging on the front door of KlineLand. 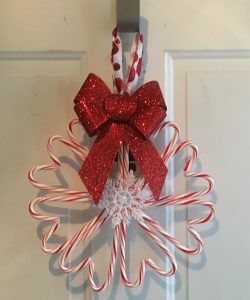 I found a candy cane wreath on Pinterest and couldn’t find instructions. Well, unless you count the Martha Stewart ones. And I didn’t want an all-day project! So I did it myself. It took me less than 30 minutes. I ended up leaving the wrappers on, but clipping the excess on the ends. You can’t see the wrappers then, and I don’t have to worry too much about sticky doors. 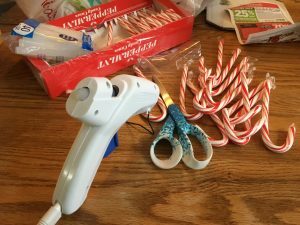 Pick out 16 candy canes. Pair them up. 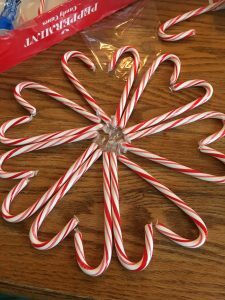 Believe it or not, the candy canes are not all the same size. So match sizes. It makes it easier to glue them together. Trim excess wrapper from the ends or unwrap. 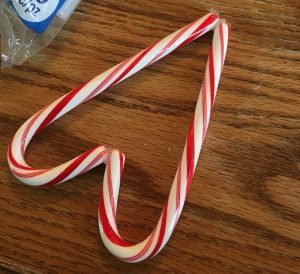 Once the candy canes are paired up, you can start hot gluing them into the heart shape. Lay them flat on the table and apply the glue at the tops and bottoms where the canes meet. Slide them away and repeat. Don’t worry too much about the glue looking messy; this can be the back side. Starting with the first pairs you glued (because they are cooled by now) begin arranging your heart sections into a wreath. 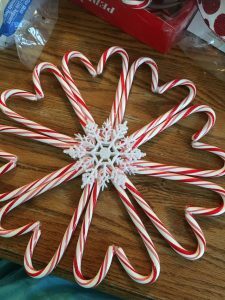 Once you like how it looks, start applying the hot glue to create the wreath shape. Be careful at this point because the finished piece is very flimsy. Get one of your flat ornamental pieces and hot glue that to the center part of your wreath. I applied hot glue to the tips of all my heart sections and lightly pressed the ornament down. I used a ruler to firmly press the ornament into the glue. Wait a few minutes for this to cool, then carefully turn it over and repeat on the other. When you have the second ornament piece applied, the wreath is much more sturdy! Clean up your hot glue fringe, pick off any big pieces showing on the front, and decorate as you wish. I put a red ribbon at the top of mine. Originally I wasn’t going to put anything, but the red ribbon made it look more festive. I used fancy ribbon to hang on my wreath hook, but you could use anything you have on hand. I hope these directions are simple enough to follow! If you make a wreath, please post a picture below! Slowly but surely I’m filling up my etsy shop. 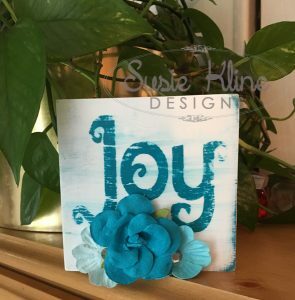 Last night I added a 4″ x 4″ sign proclaiming “Joy.” You can check it out here. Don’t worry. More things are coming. I just want everything to be perfect. Or as close to perfect as I can get them! Thanks for looking! Ta ta! I’m so excited about making signs. 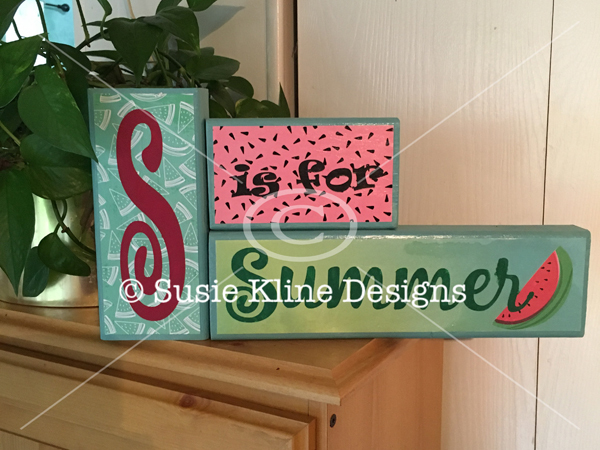 Here’s my latest: my first attempt at block signs. This is just the front. I still have to think of something to put on the back. Oh Boy! 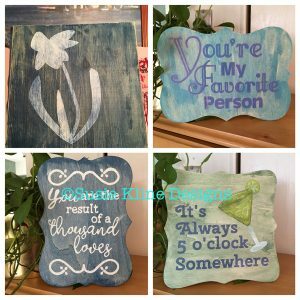 I’m Live On Etsy! I did it! I listed my first item on Etsy! I can’t wait any longer. I can’t get it perfect. There’s the magical 100 listing rule, but if I wait until I have a 100 things, I’ll never get there! 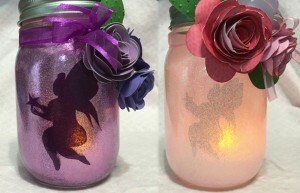 I’m simply starting with the custom-made Fat Fairy Lamps! Check it out. They are so pretty!!!! There are no mistakes in art is my motto whenever I teach an art class. Unless you’re in school and taking an art class for a grade, there are no mistakes in art. Does that make you feel better? I hope it does! Because I’m afraid the latest slew of projects and kits available are making people think art is a lot harder than it actually is. For instance, my favorite rant: the zentangle. When the zentangle first came to my attention it was a square on a piece of paper and a pen. You started randomly drawing lines, curves; maybe you added some dots or dashes. That’s all. You could get really wild and start with a circle. You could get totally carried away and be the guy who sold his zentagles on styrofoam cups. What it wasn’t supposed to be was an entire business line with specially trained zentangle masters (I don’t know what they are really called) with classes, special books, and special tools. Someone took a very simple art form and turned it into something way too complicated. I’m sure more than one person looks at the books, magazines, and other supplies available for creating zentangles and thinks creating them is a complicated endeavor. But don’t be fooled. All you need is a pen, some paper, and a square. As I wander the craft stores (and I wander them a lot) I am dismayed to see the many things companies have complicated. So many easy crafts have become corporate-fied. They’ve stripped away the creative part and left a little bit of the finishing so you have something to show. They walk away with the money, and what do you walk away with? Maybe some people are happy doing things this way. If the clearance bins at the craft stores are any indication, I think many are not. The fun of art lies in the entire process, not just the finished product. From the first idea, to the first errant paint blob, to the laughs and groans that go along with it, the piece at the end holds those memories. Perfect or disaster, looking back at it will make you happy because of the adventure. And none of the steps along the way were mistakes, they were lessons. Do me a favor and pick up a pen, a piece of paper, and draw a square. Start doodling in that square. Draw a zentangle that way. Then repeat. Don’t buy a kit! 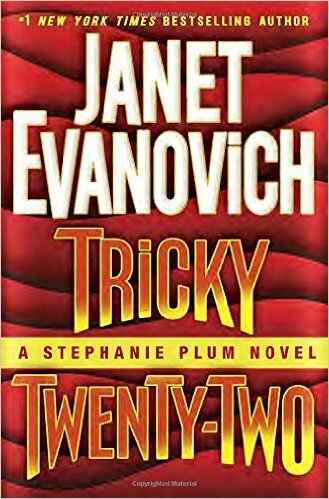 The first book I’ve completed in 2016 is Tricky Twenty-Two by Janet Evanovich. I’m happy to report that Stephanie Plum is still up to her old tricks. This time around she’s hunting down a frat boy who’s running her ragged. Sure, he’s king of the Zeta’s, but all the rumors can’t be true about the worst fraternity house at Kiltman College. The dead bodies are just a coincidence, right? Her personal life is in disarray. Morelli calls of their relationship. Ranger steps in to fill his spot. Stephanie and Lula find a serial killer among a bed of snakes. Best of all? Lula manages to turn crafty to save them all from the fleas. Bedazzled flea collars anyone? Evanovich manages to keep up the shenanigans in number 22 without becoming boring. There’s still magic in the best love triangle ever. Lula and Stephanie are the greatest bumbling detectives. All the supporting characters still know their places and how to keep us in pieces. Still, I cannot wait until number 23! 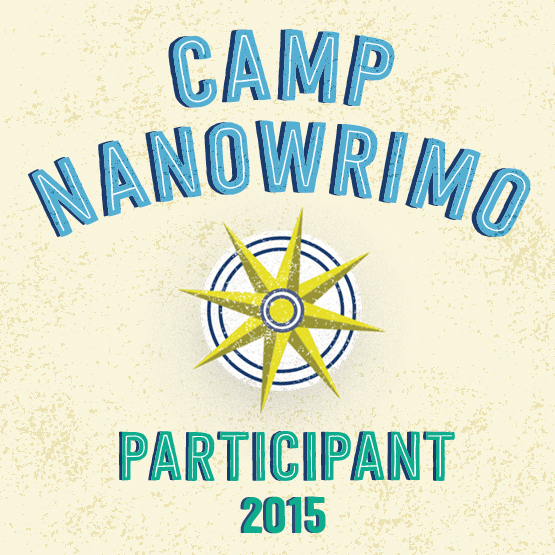 The third entry in the Halloween writing prompt is by me. “I’m glad we don’t have to drive,” Melissa slurred as she clung to John. The effects of the smokey Halloween punch were hitting her. Or was it the bloody zombie shots? Shaking her head, she concentrated on putting one foot in front of the other. ‘I don’t know…” she looked at the Garrity’s haunted garden and wasn’t sure she wanted to walk through it in the dark. Especially at midnight on Halloween. At that moment an owl hooted to her left and eerie laughter peeled on the right. Farther off in the garden multiple moans filled the air. Caught off guard, Melissa tripped and landed face first in the lap of a mummy. She pressed her hands all over the torso of the mummy. “This isn’t a prop,” she began tugging at the bandages. Within minutes the bandages were off and Peter Garrity stared blindly at them. 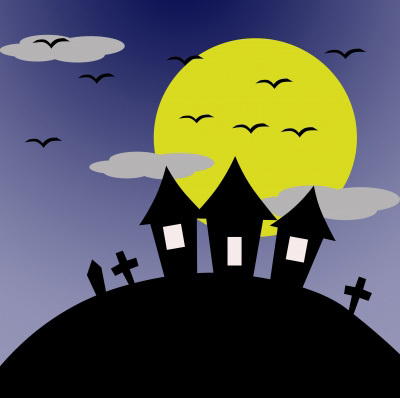 The second entry in the Halloween writing prompt is from Dee Gatrell. “What a fun party that was,” I said to my husband, Larry. I ran, tripped twice more before running into the house screaming. “Call the police! Get an ambulance! Looks like Fred is dead in your front yard.” My skirt was ripped and my knee was bleeding. I chocked. The man was six inches shorter than me, was homely as sin and didn’t have any sense of humor.